1964-September- TLBAA held their first meeting in Lawton, Oklahoma. There they elected officers, ratified the by-laws and elected Charlie Schreiner III as their first President. 1964- The TLBAA hired famed inspector Claude Schreiner to travel the U.S. determining the legibility of cattle. 1964- The #1 Cow, #1 Bull and #1 Steer were inspected and registered from Schreiner’s heard, setting the high standards for the registry. 1967- New TLBAA President Walter Riedel moved the TLBAA office from San Antonio to Karnes City. When he turned the organization over to Jack Philips in 1969, the organization had grown to $4,300 cows and 150 members. 1969- Jack Philips became President and organized the TLBAA finances. When he handed it off, the organization had money in the bank with very little debt. 1973- Jim Warren became President and the TLBAA celebrated its 10th anniversary at 350 members and $7,000 cattle. 1975- Manuel Gustamente was hired as Executive Secretary and the breed registry was closed. Gustamente died suddenly later that year. 1975- As of June 30th that year, only the progeny of registered Texas Longhorn were eligible for registration. 1975- J.W. Issacs was elected President and the first sanctioned sale was established. 1975- Intended as a parade, more than 100 Texas Longhorns were spooked en route causing damage to homes and running trucks off the highway. This incident became known as the Goliad Stampede. 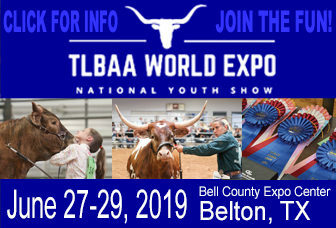 1980- Bill Anthony became TLBAA’s first President from outside of Texas, recognizing the national expanse of the organization. 1981- A selection committee was formed to find a permanent home for the TLBAA. A temporary office and building fund was established and a site was purchased in the Fort Worth Stockyards. 1982- Dr. L.V. Baker of Oklahoma was elected President. Membership grew to 2,500. 1983- The Texas Longhorn Breeders of Tomorrow (TLBT) youth organization was formed. 1984- Dr. W.D. “Bill” Clark became President and breed research at Texas A&M continued. The Texas Gild Monument was dedicated. 1987- The Texas World Show Circuit began. 1988- The first Texas Longhorn Exposition was held in Fort Worth. The Breed Evaluation System and the Breed Advisory Council were created. 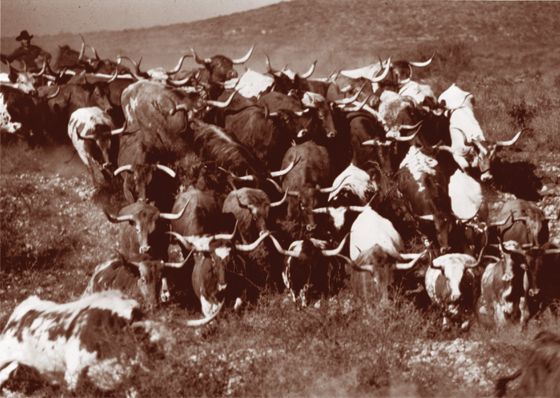 1989- TLBAA created an official publication, The Texas Longhorn Trails Magazine. 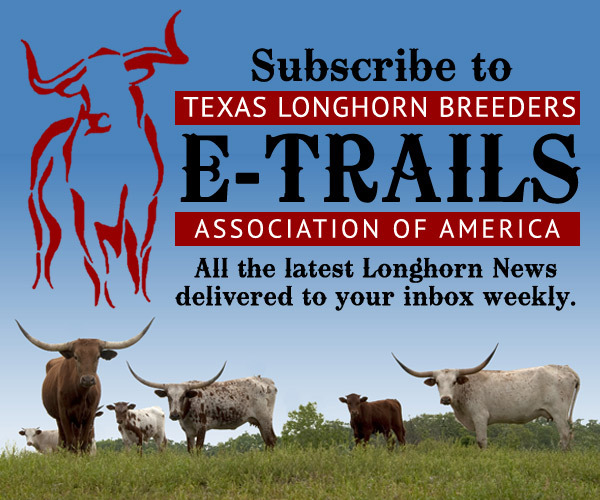 Today, be a part of history, promote awareness of Texas Longhorn cattle and join the TLBAA.